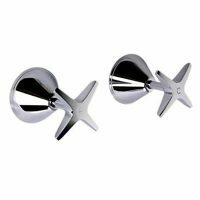 Equip your kitchen or bathroom with the practical and stylish Cube 1/4 Turn Set. A superior product manufactured by Alpine Industries, the Cube 1/4 Turn Set features an elegant and easy to use design. As a quarter turn tap, the Cube Set is very convenient. The tap goes from full flow to zero flow in just 1/4 of a turn, or a simple flick of the wrist. There are no tap washers required with this tap. This tapware set is extremely robust and sturdy as well. Alpine is well known for manufacturing great products and the Cube 1/4 Turn Set is a great example of this. 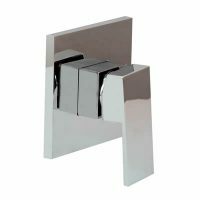 This tapware set is available in a modern chrome finish and features solid brass, easy to grip handles. Designed for easy installation, this is a fine quality product offered by one of Australia’s finest tapware manufacturers. The Cube 1/4 Turn Set is a bestseller at Ross’s Discount Home Centre and is currently featured at an incredible price. 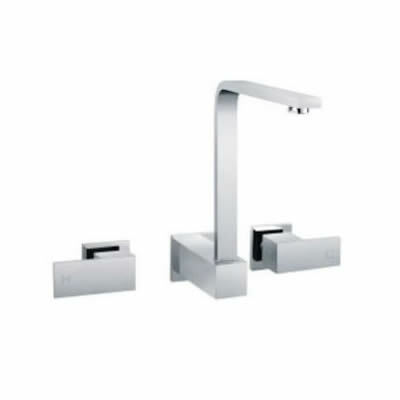 Don’t delay – get hold of the Cube 1/4 Turn Wall/Spa/Sink Set for your home before stocks run out!